There is a wealth of knowledge to be gained from all individuals, ages, and levels within the organization. Having multiple generations not only working together but listening, communicating, and working to develop each other is a boon in many areas, including creativity in problem solving. Many times the younger staff member is not invited to be a part of a brainstorming process – the thought is that they just doesn’t have enough experience, knowledge, or organizational savvy to be of value. The same thing happens when the mentoring initiative within the organization only focuses on the “top down” style of mentoring relationships. Take two examples we’ve given out below. Kevin was the Director of Operations for a large distribution company, and a mentor to Frank, who was a Manager in Finance. As a mentee, Frank’s major goal was to obtain more exposure to senior management. Early in the mentoring relationship, Kevin indicated that one of the ways Frank could obtain the exposure he desired was to become more involved in major, strategic presentations that would spotlight the accomplishments of the IT Division. Kevin was a seasoned communicator, had given presentations throughout his long career with the organization and felt this was an area of expertise -- he felt he could be of benefit to Frank. Frank felt that he was doing just fine in this area of communication, but didn’t want to upset Kevin since Kevin was in a much higher position within the organization and could influence his career. As Kevin tried to impart the pointers he had learned through years of experience, Frank kept interrupting and questioning his approach and advice – it was different than what he had learned a couple of years earlier in a presentation course. Kevin felt Frank was ignoring time-tested strategies for delivering an impressive presentation. Equally frustrated, Frank wondered why Kevin was so dismissive of the new ideas he had learned that he felt made presentations much more interesting. In the beginning, not much progress was made. Kevin felt that in the role of “mentor”, he was more qualified to give advice, and Frank should listen to him because of this. Frank felt that the newer techniques that he had learned were better than what Kevin was trying to impart to him. The initial result of the mentoring partnership was that Frank listened to what Kevin had to say, but didn’t incorporate any changes in his presentations. But as their mentoring partnership went on, Kevin changed how he worked with Frank. As Kevin began listening to Frank’s ideas and making him feel that what he had to say had value, Frank became more open to the tried and true advice that Kevin had to offer. They began learning from each other. Kevin as the older, more seasoned veteran learned that there were new and creative ways in which to make his presentations more innovative and interesting. Frank, a younger, newer staff member learned the importance of understanding the audience and culture of the organization and how he needed to focus his presentations so that they were well received. They mentored and learned from each other. Age, seniority and title were not the determining criteria for who was able to impart knowledge, but they were communication barriers that mentoring was able to breach. Karen and George are mentor and mentee respectively. George’s development need is in the area of project management. This is Karen’s area of expertise. Although they work in different divisions within the organization – Karen in manufacturing and George in IT - and have different job titles, both Karen and George are at the same job grade level. Karen is about to plan and implement a major project. This is a great mentoring opportunity for George to learn and obtain practical experience. They design a Mentoring Learning Plan and include activities that match George’s learning style. As the relationship continues, George obtains great knowledge and development working with Karen – the mentoring experience is very beneficial. Throughout the experience, George feels that there is a better way to handle the manpower planning portion of the process than what is now being used by Karen and her team. George, based on his area of expertise, provides suggestions for an enhancement to the present technology that will make this part of the project planning process easier and more efficient. George not only designs this enhancement, but teaches Karen how to use it and how to incorporate with her expertise of project management to obtain the best results. 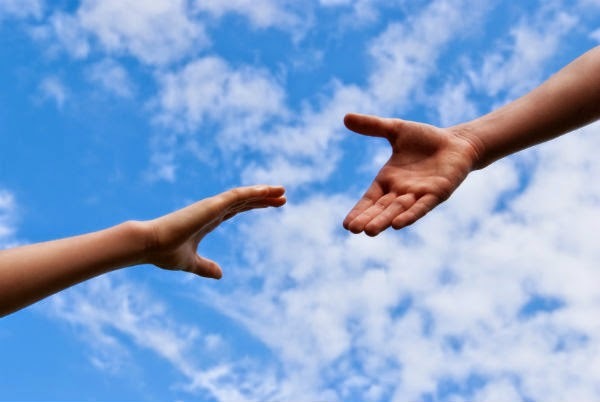 Learn more about the benefits of mentoring programs.